Do You Want Permanent Teeth? All-on-4 Dental Implants is a state-of-the-art innovative procedure that provides patients permanent attached (fixed) teeth utilizing as few as four dental implants. 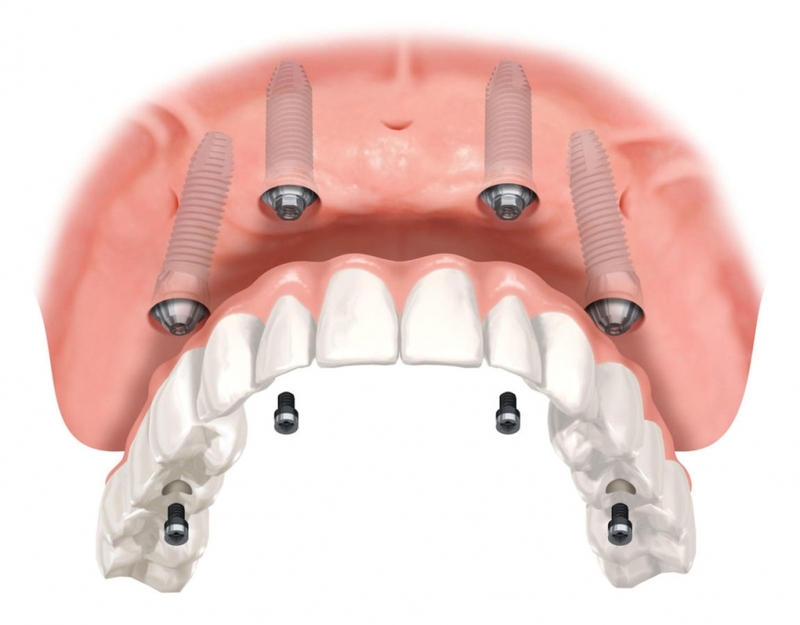 Dr. Turner can provide to you new permanent teeth by using the All-on-4 Dental Implants technique. This solution was developed for those that are about to lose, or have lost, all their upper and/or lower teeth. Please take a short survey below, to see if you can benefit from All-On-4. Do you wear full or partial dentures? Do you wish you had permanent, comfortable teeth? Do you have loose teeth or have a difficult time chewing? Are you tired of having your teeth in a cup rather than in your mouth? You will love the All-On-4 solution. Call us today! You deserve it. GET NEW PERMANENT TEETH …with All-On-4 dental implants. Call Jenny to get all your questions answered and to set up your FREE consultation.